Your highlighted list full of the best things China has to offer. China is a massive country, bursting at the seams with full adventures and places to experience — whether you're hunting for history, itching to see iconic skylines, or ready to soak up some of the world's prettiest views, China has something for everyone. When I was living in China as a volunteer, I spent a whole semester traveling around with a group of my friends, crossing off almost everything you'll see on this list. If you want to really experience this country — not just skim the surface or hit the touristy spots — you'll need tips about the best, must-see spots, all from travelers who know firsthand. China is home to some of the most picturesque mountains around and missing them completely would mean skipping out on a huge part of what China has to offer. When it comes to unreal peaks and hikes, these are our top three spots. If they aren't already on your itinerary, we think you should make some changes (or plan another trip to China!). If you've seen the Avatar movie, you'll recognize the unusually eerie, floating pinnacles found here. Get to Zhangjiajie by heading to the Hunan province (which sits a ways north of Hong Kong and west of Shanghai deep in inland China). The city itself is small, but is the gateway to a couple of expansive national parks full of dramatic drops, swirling mist, and winding trails that take you all over these mountains. 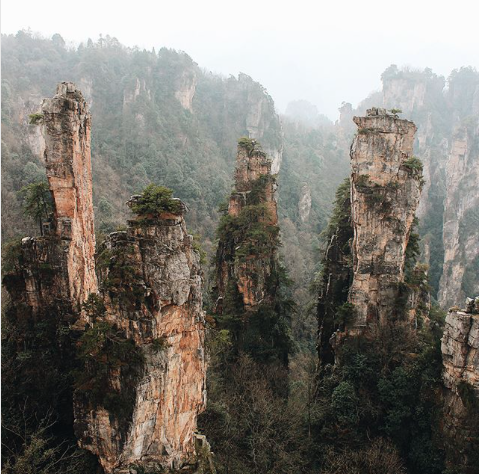 There are two different mountains to explore in Zhangjiajie: one is the Wulingyuan Scenic and Interest Area (also called Zhangjiajie or the Avatar Park, which we know is confusing), and the other is Tianmen National Park. One of the biggest mistakes tourists make is thinking that both of these parks are right next to each other — not the case! They are two separate mountain ranges, with two totally separate experiences, all housed in the same area called Zhangjiajie. Our guide to navigating Zhangjiajie easily outlines how to plan your trip to these parks so you don't get confused. We recommend spending 3-4 days in the city of Zhangjiajie to see both of the parks. Wulingyuan deserves 2-3 full days, and you can see all of Tianmen in one day. We've made a bit of list below for a nutshell version, but here's a breakdown of what you'll find in each park to help you plan out a more detailed itinerary. What should I see in Tianmen? Zhangjiajie city is easily connected via trains from major cities which makes it accessible, no matter where you are in China. You can also fly there (look for Zhangjiajie Hehua International Airport, or DYG) but prices here from Beijing or Shanghai tend to be a few hundred dollars or more. A train will take longer, but you'll see prices that are around $30 or $80 to get you back to Beijing or to Shanghai — a perfect option for budget travelers and backpackers who can spare time for an overnight train and save some yuan. If you're headed to Shanghai, don't make the mistake of just staying in the city. Heading a bit further north to the city of Huangshan will give you the Yellow Mountains (also known as Huangshan) — looming peaks that are enormously huge, topped with prickly pine trees and enough views to fill up your camera roll. The Yellow Mountains look like those iconic Chinese ink portraits, just in real life. Thousands and thousands of stone steps carved into the mountainside that can lead you to viewpoints like "fairy bridge" or pagodas perched atop jagged peaks. It's quite the trek, unless you opt to take a cable car ride up to different peaks (at least on the way up ...or the way down). We recommend spending the night on the mountain so you can see sunrise crest over these rambling hills (and break up the trek). It's do-able in a tiring day but either way, following our Huangshaun Guide will give you full of tips and make sure you don't miss the last cable-car ride down, or the quaint villages tucked just outside the mountain range. An awesome side trip from places likes Xi-an and Wuhan, these gorgeous mountains are tucked far enough away that you can avoid some of the major crowds you'll get at other mountains in China. Check out all our tips to help you plan a trip here. These other two spots in China are perfect for those wanting to do some hiking, but if you're into soaking up the sites of some jungly, green mountains from your bike, we have the spot for you. Yangshuo might be my favorite place in all of China ... it's our #1 spot in China for a few reasons. It may not be a place you've ever heard of, which makes it just that more tantalizing. How is paradise such a well-hidden secret? My friends and I spent 4 or 5 days here, picking strawberries (or kumquats) and photographing lanterns strung along West Street after floating between these whimsical verdant hills on a bamboo raft. Out of all the places to see in China, Yangshuo was everyone's favorite spot — absolutely don't miss this. Spend at least 2 full days here to get a glimpse of paradise, but spend 3+ to get the full impact. The city itself is more like a cutie little town that you can easily walk around in about 30 minutes — the "busy" part of town is the main street, West Street, and has it's charms, but most of the highlights we mentioned above are located out of town, and are easily reached via bicycle. 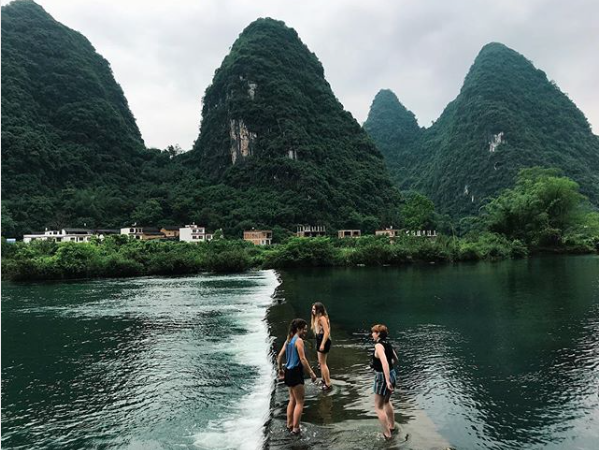 Our weekend-guide to Yangshuo outlines (in detail) how to do all of these all the must-see's, plus gives you tips like our favorite guides to hire and hostels to stay at to really round out your itinerary. It's really all you would need to help you plan a weekend (or longer) in Yangshuo. If you have a spare day, we also highly recommend stopping by to see the oh so famous rice terraces in nearby Guilin. 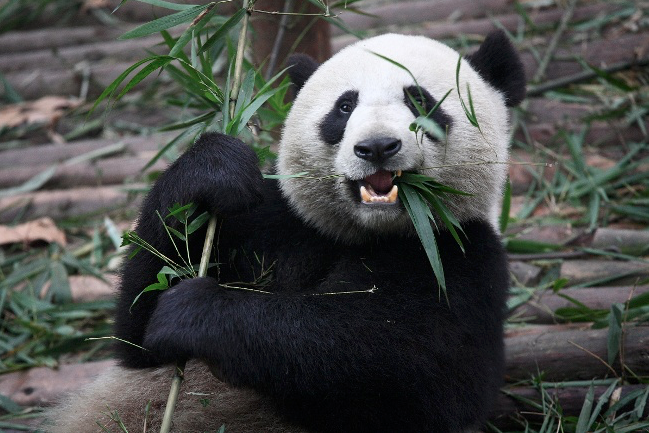 China isn't China without the Giant Pandas. If you're coming to China for pandas (which we're 100% supportive of) the absolute best place to see them is in Chengdu. Found in the Sichuan province of China, Chengdu's nestled in the central part of this country; a city center swirling with spices (come here for very spicy hot-pot) and home to the biggest centers for Panda research and conversation. You can see pandas in most of China's zoos but it's a completely different experience than visiting pandas in a research center. There are some zoos in China that have been known to house unhappy, ill-treated animals - so if you're an animal lover it's worth it to make the trip out to Chengdu. Both experiences let you get up close, which is more than you'll get at any zoo. Plan on paying anywhere from $10 - $250+ to do anything from simply touring the breeding facility and peeking in on snoozing newborns, or a whole afternoon of feeding and snuggling these guys. Both places also let you get a good look at the pandas and their red panda cousins, happily munching on bamboo. You've got to make a trek out to nearby Leshan to the world's biggest Buddha. It's enormously massive and unlike any Buddha you'll see in China, and just an hour away via train from Chengdu. ...And you absolutely shouldn't miss gazing into these picture-perfect, turquoise pools found in nearby Juizhaigou. This national park is unreal and easily the prettiest I've ever seen in all the countries I've traveled to. It's a $20, overnight train ride from Chengdu, but keep your eye out for an even faster bullet train that will make visiting from Chengdu even easier (supposedly it'll be done in 2019 and will take just 2 hours). Juizhaigou is truly a gem only locals know about, but we've scoped out how to get around the park to help you out. Nearby, is another hidden paradise called Huanglong China, where you can see these magically blue pools situated between canary yellow stones. It's stunning and off the beaten track; luckily we have your Huanglong guide to help you navigate the park and get insider tips. If you won't have time for pandas in Chengdu, you can spot these cuties in other zoos — as a head's up, there are some great and not-so-great zoos in China. We have our preferred spots, like the Shanghai Wild Animal Park which is more like a city-center nature reserve, than a typical zoo. You can see pandas here, and have some other adventures like feeding and riding elephants, lunching with lemurs, hanging out with flamingos and sharing a snack with some giraffes. 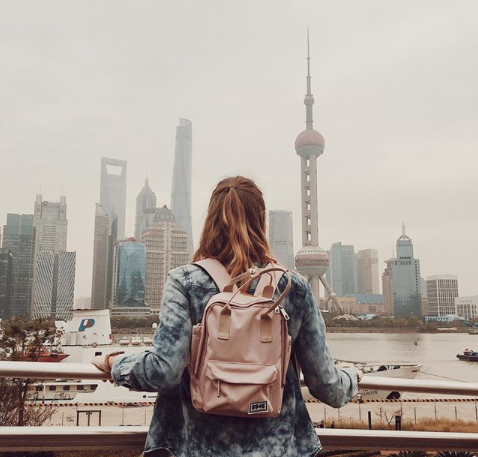 Shanghai's a big city you've probably heard of and has way more to see than just this animal park, (we've got way more about Shanghai below if it's on your itinerary) so be sure to keep reading if you're planning on spending time here. China can seem inaccessible because of a language barrier .... which seems even more challenging when you think about tackling the colorful maze of metro lines that help millions of people get from A to B every single day. A bit intimidating, right? Not so much — trust me! I didn't speak a word of Chinese and got around just fine. After a couple of weeks, I could get around my home-city of 8 million people just like a local. It just takes practice and an adventurous spirit. China's sprawling cities surround some of the most iconic sites in this entire country; if you want to see places like The Great Wall of China in Beijing or stare across Victoria Harbor in Hong Kong, you'll need our insider tips to make sure you're making the most of your time in China's urban side. Shanghai will keep you busy; but I'd only recommend spending 1-2 days here before jetting off to another spot in China. Shanghai is rad, but because there is so much to see in this country, don't make the mistake of skipping China's other hidden gems just to spend more time admiring glittering skyscrapers in Shanghai. Any quick online search will pull up some of the most popular sites in Shanghai (like the Bund or Yu Gardens) but which spots are really worth it? And how are you supposed to get there on the metro with 25 million other people? Our Shanghai Metro Guide has our favorite spots to visit mapped out so you can easily plan your itinerary. Shanghai Wild Animal Park — don't go to the Shanghai zoo! The airport, metro and train stations in Shanghai makes getting around the city simple which also creates a good jumping off point to places that are close and farther away, like the pandas in Chengdu or the mountains in Zhangjajie after you're spent your time in the city and taken a couple of day-trips outside of Shanghai. If you're really short on time and just want to cram in a lot of China all at once, Beijing is your go-to city. It has world-famous buildings and sites to see, a food scene that lets you taste the country's culture, classic architecture you're looking for and more ... plus, who goes to China and skips seeing the Great Wall? Your Beijing adventure should be at least 3-4 days long so you can feel like you got a bit of a handle on this ancient capital. Beijing has elements of the other 2 major cities Shanghai and Guangzhou, just all in one place. Similar to Shanghai, this is a city that will keep you occupied for days ... maybe even a week or two if you really want to get into the hidden gems of this city. While that may be a luxury you can't afford, you can still sample the real Beijing in a few days. 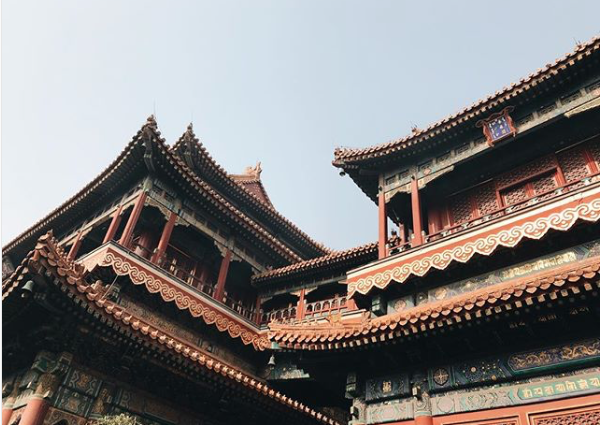 We suggest doing all the classic touristy things in this city, since these tourist attractions form the base of Beijing's expansive history (there's a reason people flock to the Forbidden City ... it's amazing!) . We also suggest having a few non-historical adventures, like shopping for knock-offs at the Pearl Market. 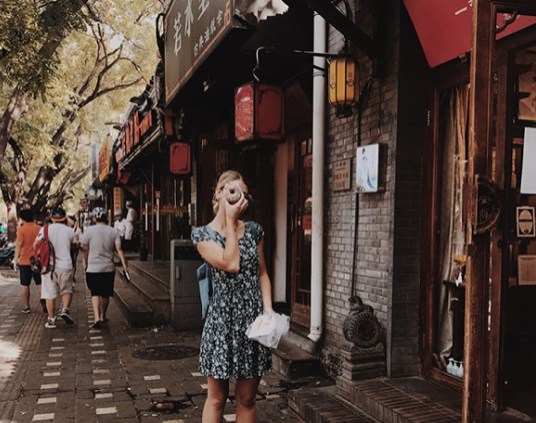 Get to these top spots by using the Beijing Metro — you'll be able to navigate it in no time after studying up on the metro lines and downloading a few helpful apps. If you jam-pack your days you'll be able to see all of these sites above in 2 days + a full day to see the Great Wall. Our advice? Don't rush that experience. The wall is a couple hours outside of Beijing, so it's worth dedicating a whole day so you're not rushing there and spending just 20 minutes for a photo op — if that's all you have time for, that's great ... but if you can spare 2 days, we can't recommend camping on the Great Wall enough! It was absolutely my favorite experience in China, hands down. If you're looking into flights to China, you'll probably see big cities like Beijing, Shanghai and Guangzhou ... that last one might not ring as many bells as the first two but it doesn't mean it's worth skipping over. Found in the warm, tropical southern part of the country, Guangzhou is a massive port city that's packed full of sites to see. If you fly into Guangzhou, we recommend spending a day or two here to adventure around and explore, before using the airport and trains to get to places like Yangshuo or ones farther away. We've figured out all the best things to see in Guangzhou, here. Daredevils will love the high-stakes drop off the Canton tower, but if you're looking for a few more animal adventures and theme parks head to Chimelong Adventure Park which is a huge complex of water parks, theme parks, a circus and more. You can also explore the pulsing metropolis or explore quiet neighborhoods. Similar to Shanghai and Beijing, there's a metro (plus a sky-train) that makes getting around really easy. Guangzhou is also close to Hong Kong, so if your Chinese visa permits (Hong Kong isn't a part of mainland China so travel between there and the mainland do have different restrictions) flying into Guangzhou means easily spending 3-days in Hong Kong. Bonus: These apps are SO HELPFUl when you're in China. Download them immediately. Want to see the real China? We're a nonprofit organization who works with a few schools in China (and a few other countries around the world). Our volunteers spend a semester teaching in local schools, living with friends and traveling all over the country! Since you're there for a semester, you can dive into the culture and get a taste of the local life. 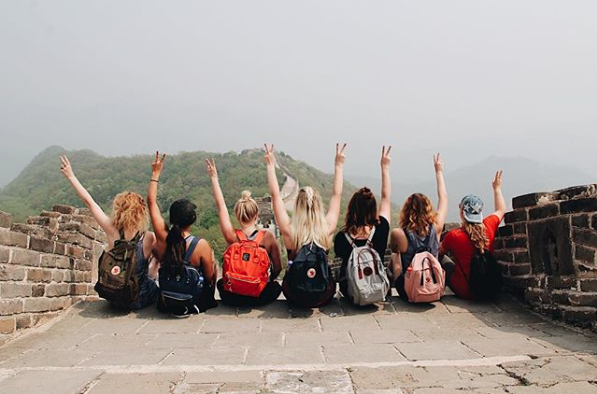 If you'd rather experience China like a local rather than visiting for a week or two, let's keep in touch — drop your info below and one our representatives who just got back from a semester with us will send you a text and answer your questions.